Take'em Down For A Splash! 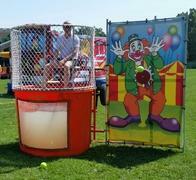 Description : This Classic Dunk Tank is an essential piece to any school carnival, company picnic, or birthday party. Nobody wants nothing more than to submerge their manager, teacher, parents or friends in a few feet of water. Sweet revenge. Actual size is 4 x4 x 8 but requires a 6 x 20 set up to allow thowing area. Weight capacity is 250 lbs. It Holds approximately 500 gallons of water and takes about 1.5 to 2 hours to fill depending on your water pressure, so be sure to include this when selecting your start time. 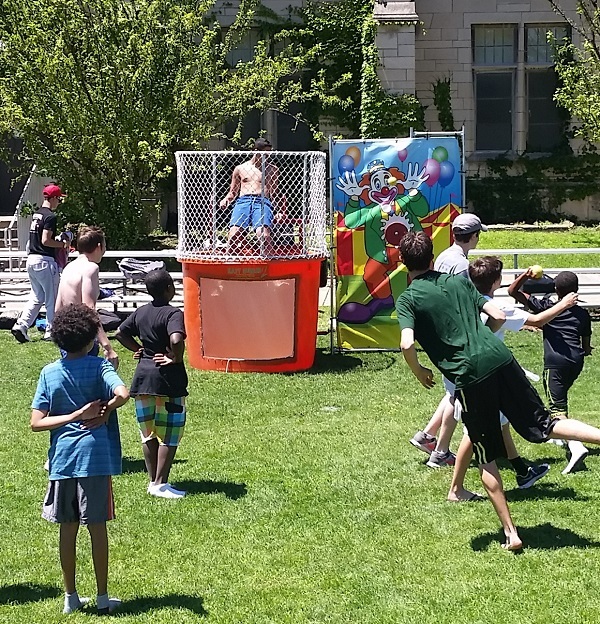 Requirements: Players must be at least 48" tall to participate in the tank. An extra fee will be added by Zip Code, if you need Delivery and Pickup.